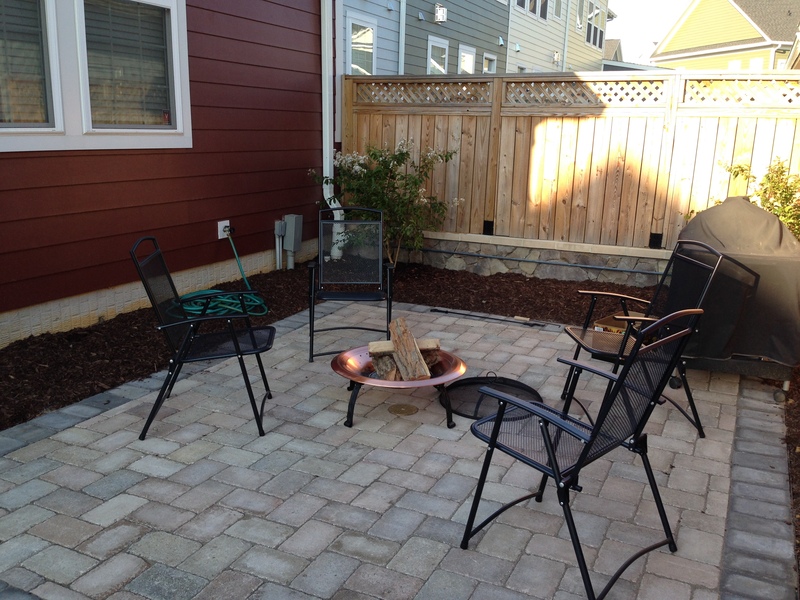 Last week we built a small courtyard in the space between our garage and our townhome. Being a man, you have to know that I initially asserted that it was something I could do by myself. Sixteen hours later I realized that such a declaration had disaster written all over it. It isn’t that I couldn’t have pulled it off. It is what it would have looked like when I did! It would have taken weeks, perhaps months to complete a poorly graded, hideously spaced, embarrassingly puddled, monstrosity. Instead, our Worship Director, a former Landscape Architect, oversaw a team of college students, his twin sons, and me, as we took on the project. It was a blast, and when we finished, it was beautiful, and each of us felt a great sense of accomplishment. Reflecting on the project, I realized how, until we were completely finished, it never really looked good. This seemed instructive as I considered who we are in the day-in and day-out struggle as unfinished Christ-followers. The question is this: Can we accept ourselves in disrepair, trusting that God is doing something magnificently beautiful in us over the course of a lifetime? This took me to a story I read online a few weeks ago, of a cathedral in Barcelona, Spain that is still 13 years from completion. What distinguishes this project is that it began in 1882! That’s 131 years ago! It’s magnificent, but it will be more so when completed. Don’t take this lightly, friend. Hey, a little advice: Dwell on what God is doing in you, not what you look like until He is done. I know, I know! We look in the mirror and see the dust and the holes and the flaws and the unfinished spaces. But that isn’t what the Father sees. He sees His Son. And He sees who you will one day be. The thing is, we are all like unfinished cathedrals – or courtyards – We are under construction, and until we are Home, it won’t always be pretty. But Jesus has come. The important thing is that He finished His work. Amazingly, His work was you. You are currently reading Unfinished Cathedrals at unfinished1.